I was so excited to have the opportunity to try Subway’s new breakfast. 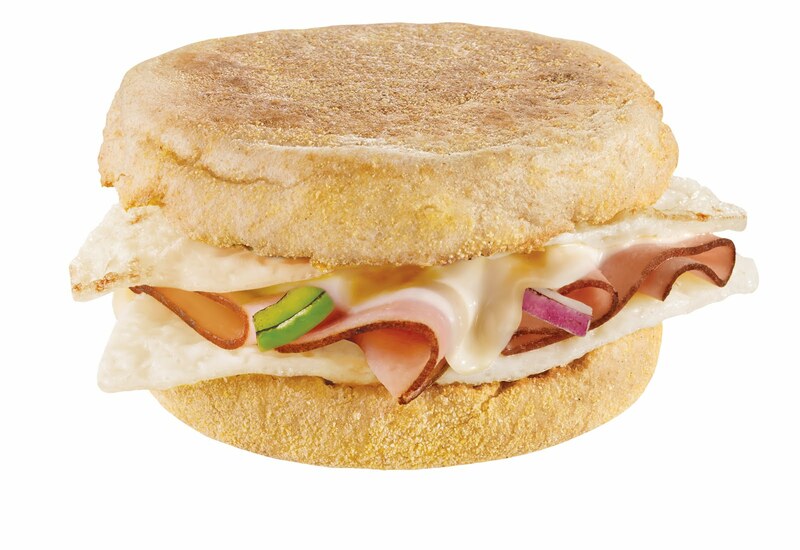 Most Subway locations have added delicious breakfast sandwiches and combos to their already healthy and fresh menus. They also open early so you can get a nutritious breakfast on your way to work. Just like the regular sub sandwiches you can build your own breakfast sandwich and chose your favorite toppings. My kids and I decided to try the Black Forest Ham and Cheese sandwich. For only $2.50 each we had our choice of cheese, bread and toppings. The sandwiches were large, filling and delicious. All of their breakfast sandwiches are under 200 calories and with all the wonderful veggies that you can add to them I am confident that myself and my children can get a nutritious breakfast at Subway. Visit Subway Nutrition Facts for a complete guide to the nutritional information on all their menu items. Subway and the Healthy Moms wants to treat one lucky reader to breakfast at their local Subway restaurant. Leave us a comment to enter to win a $10 gift card to Subway. Mandatory in order to enter you must become a fan of Subway on Facebook or follow them on Twitter. After doing one of those two please leave us a comment and include your e mail address in order to qualify to enter. This giveaway is open to US residents only. For every entry including extra entries please leave a separate comment. Winners will be chosen randomly from the comments and e mails that I receive. The contest ends on May 16 at midnight PST. Related Is Your Child Vitamin D Deficient? I want to try the egg and cheese! I'm a fan of Subway on facebook. I'm a fan of Healthy Moms on facebook. western egg white and cheese omelete! m nice to have breakfast foods there! The western omelet sandwich sounds yummy! Looking forward to trying breakfast. follow on twitter, and a fb fan! I'm a Subway Facebook fan! egg and cheese looks interesting. I follow Subway on Twitter @lprice79. Can't wait to try the Black Forest ham! I'd like to try the new “Black Forest Ham, Edd & Cheese” breakfast sandwich. i follow them on twitter & i've been wanting to try their breakfast! I'd like to try their new breakfast items. Thanks. Wow, I think they all sound great! The *first* one I'd try is the Black Forest Ham and Cheese sandwich. I am a fan of Subway on Facebook! I follow Subwayfreshbuzz on twitter. I am a fan of Healthy Moms on FB! I follow Healthy Moms on Twitter, too! I'm a facebook fan of Subway – would also love to try the black forest ham and cheese sandwich. I like the black forest, egg and cheese!! I wanna try the western egg white and cheese omelete! Subscribed to the Healthy Moms newsletter! The black forest ham, egg & cheese sounds good. I follow Subway on Twitter @mami2jcn and I'm a Facebook fan of Subway (Mary Happymommy). Fan of subway on FB. 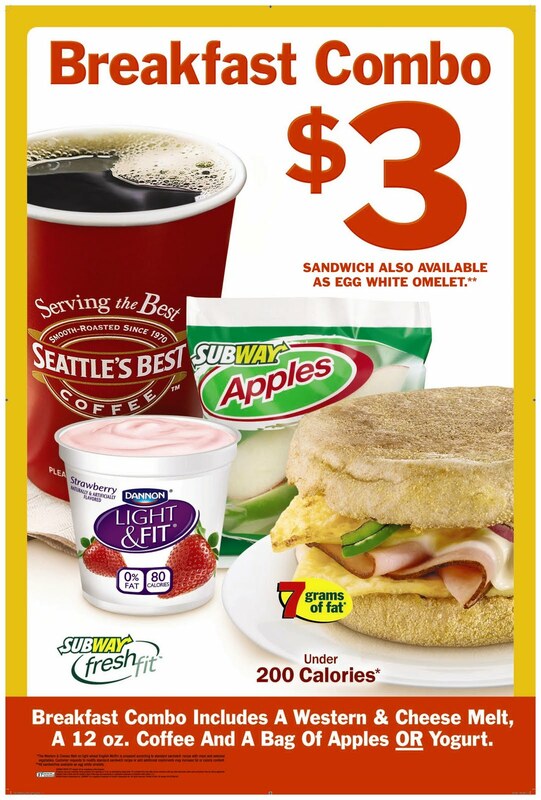 I follow Subway on Twitter (her5boys480) and can't wait to try the Black Forest Ham, egg and cheese breakfast! I follow Subway on twitter (name= @Ida_Sessions). Have been wanting to try Subway's new breakfast sandwich. I'm a fan of Subway on Facebook @valancia arrelya. Love Subway we eat from there maybe 3x a year. when i am out running errands i always go to subway for lunch.blt on toasted italian just great. I love Subway. It has the freshest and best sandwiches. i follow Subway on twitter – js22222222 . I'm a fan of subway — I especially love their tuna sandwiches loaded with veggies. I haven't tried their breakfast menu yet, but it sounds good. Fan of Subway on FB and I love the Cold Cut Combo and Meatball Sub with lots of cheese. Yummy. I'm a Subway fan on facebook and I have actually tried eating breakfast there before but I definitely want to go back and try some of their other items, it was good! I love the new breakfast melts and get them several times per week! I'm following Subway on Twitter (I'm @ThriftyJinxy). I really want to try the ham, egg and cheese one! I became a fan of Subway on Facebook.